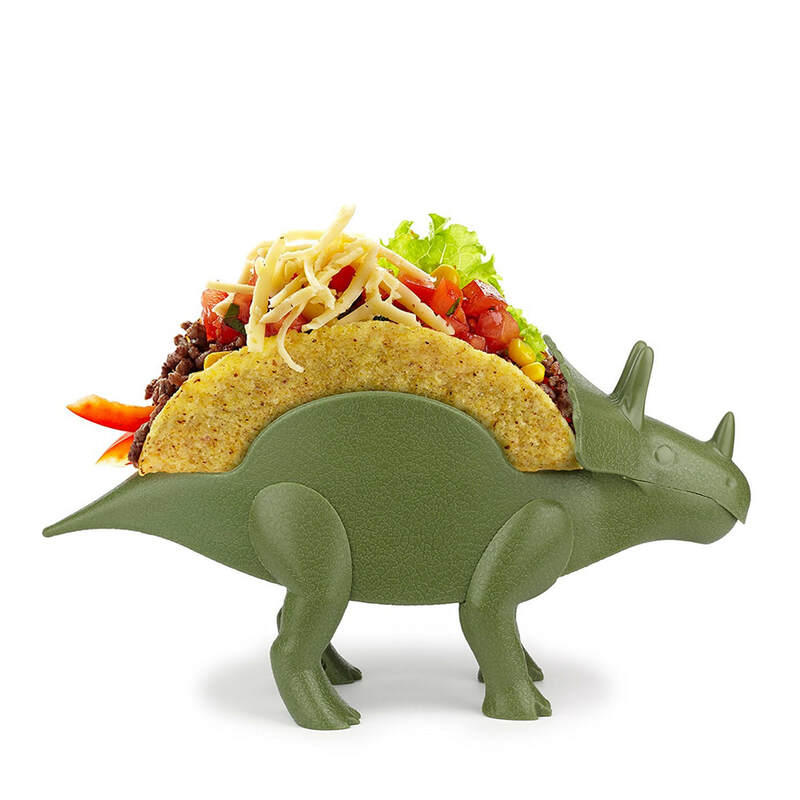 Thought to be extinct the prehistoric taco holder is back... and ready to carry two of your favorite tacos on its back! Turn your next Taco Tuesday Jurassic, and devour tacos with style! Great gift for kids and kidults that are looking to add a bit of fun to the dinner table! Dinosaurs + Tacos = Prehistoric Awesomeness! ​Promotes family unity and addresses the concern of parents in getting their child to stay at the table by sparking a child's imagination at meal time by combining their love of tacos and dinosaur with the the ultimate taco holder!